According to Tasnim news agency, in a statement released on Saturday, the IRGC strongly condemned the heinous crimes against Palestinians in the Gaza Strip, and said, “The Islamic Revolution Guards Corps, as the Iranian nation’s powerful arm, will spare no effort to help the Muslim people of Palestine and will further activate its available capacities to restore Palestinians’ rights”. It added that the new Israeli regime’s crime, backed by the US and its European allies, once again revealed that Zionists were very afraid of the outbreak of a new Intifadha (uprising) and the capacities of the Palestinian Islamic resistance movement, Hamas. The rallies coincided with the 42nd anniversary of ‘Land Day’, which commemorates the murder of six Palestinians by Israeli forces in 1976. The clashes left 17 Palestinians martyred and over 1,400 others injured in Gaza in what was the single deadliest day in the Israel-Palestine conflict since the 2014 war. 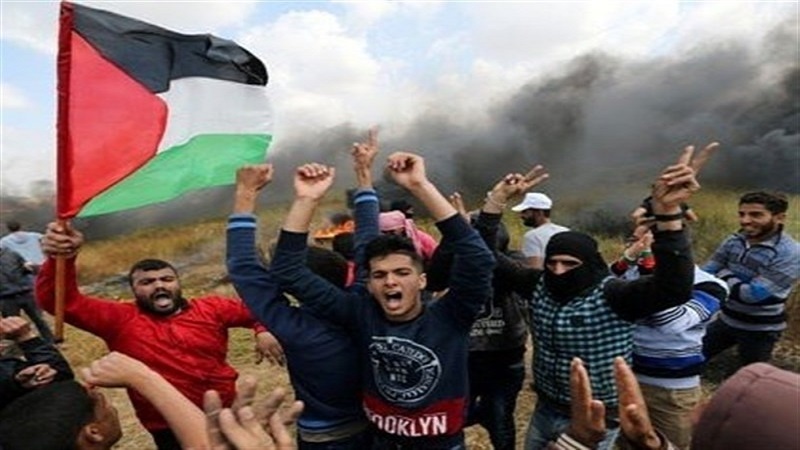 The Return rallies culminate on May 15, the day Palestinians commemorate ‘Nakba Day’ (Day of Catastrophe) when hundreds of thousands fled or were driven out of their homes in 1948, the year Israel was created.